While some of the new daytime programs have been struggling, the syndicated Steve Harvey talk show has been doing well enough to score a second season renewal. CHICAGO, IL – January 10, 2013 – NBCUniversal Domestic TV Distribution has renewed “Steve Harvey” for its second season in national syndication, it was announced today by Barry Wallach, President, NBCUniversal Domestic Television Distribution and David Goldberg, Chairman and CEO , Endemol North America. Steve Harvey is the host of the new one-hour daytime show and was chosen by the 2013 People’s Choice Awards as Favorite New Talk Show Host. “Steve Harvey” is currently sold is currently sold in 98% of the country including all of the NBC Owned Television stations. Since the show’s debut, markets that are upgrading “Steve Harvey” include Detroit, Phoenix, Portland (OR), Pittsburgh, Raleigh, Baltimore, Cincinnati, Salt Lake City, Oklahoma City, Austin, Buffalo, Fresno, Fort Myers, Tucson, Honolulu, Des Moines, Madison, Tri Cities and Burlington, among many others. In addition, NBCUniversal is actively extending the show with stations across the U.S. for 2014-2016. “The instant success of ‘Steve Harvey’ with the daytime audience is being greeted with long term commitments from our station partners,” said NBCU’s Wallach. “This project was a long time in the making and it would not have been possible without the incredibly talented Steve Harvey. His humor, honesty and insight were an immediate hit with the daytime audience,” said David Goldberg, Chairman and CEO, Endemol, North America. “I am grateful to Rushion McDonald, Mr. Harvey’s manager and longtime business partner, who has been instrumental from the beginning and to Barry and his team at NBCU who put their full power and resources behind the show from day one,” he said. I must also commend Alex Duda, executive producer, for her talent and tireless commitment. She and her team made our out-of-the-gate success possible. We have a bright future to look forward to,” he concluded. Each weekday, Steve Harvey weaves universal relationship themes into his show, bringing a blend of common sense advice and insightful humor to a vast range of relatable topics such as marriage, romance, parenting, friendship and workplace. “Steve Harvey” is produced by Endemol USA with Steve Harvey, Alex Duda and Rushion McDonald serving as executive producers. The show is distributed in national syndication by NBCUniversal Domestic Television Distribution. “Steve Harvey” is taped before a live studio audience at the state-of-the-art HD NBC 5 studios in downtown Chicago. About Endemol USA: Endemol USA is a leading producer of television programming specializing in unscripted and scripted genres for network and cable television. David Goldberg is Chairman and CEO of Endemol North America. The studio produces hit series including Big Brother (CBS), Wipeout (ABC) and the syndicated daytime show “Steve Harvey.” They are also known for producing some of the most popular non-scripted primetime programming in North America, including Extreme Makeover: Home Edition and Fear Factor. Endemol USA launched Endemol Studios, Endemol USA’s scripted television operation in August, 2011, following Endemol USA’s successful development of the scripted break-out hit series Hell on Wheels (AMC). Endemol USA’s subsidiary production companies include Authentic Entertainment, Endemol Studios, 51 Minds, Original Media and True Entertainment. Endemol USA is a division of the Endemol Group, a leading international content developer, producer and distributor of television and online programming. The company, headquartered in the Netherlands and the UK, has over 80 subsidiaries and joint ventures in 31 countries, including the major European markets, the U.S., Australia, Argentina, Brazil, Mexico and South Africa. Endemol is a privately held company. For more information, please visit www.endemolusa.tv. What do you think? 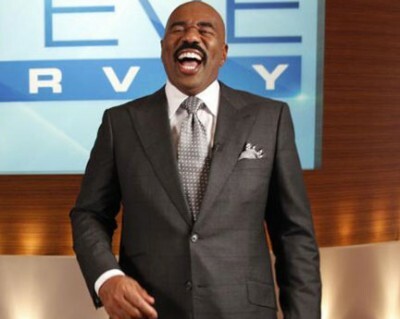 Do you watch the Steve Harvey show? Is it the best daytime talk show? More about: Steve Harvey, Steve Harvey: canceled or renewed?, Steve Harvey: ratings, Syndicated TV shows: canceled or renewed? so I had to check. Thank goodness he had just changed to a different station here in Phoenix. On for another season …………That’s Great Steve! I positively love Steve Harvey. He is funny and very inclusive. I watch him daily. It is great that Steve Harvey is still on. Way to go Steve the best talk show on TV! I am THRILLED to hear that this show is being picked up for a second season. Congrats, Steve Harvey!